I know that many of you look forward to the Kellogg’s free toy promotion that we have come to expect will return each holiday season. Sadly, the promotion that we have enjoyed for several years has now changed. This year, the holiday promotion is simply another pre-paid card promotion. 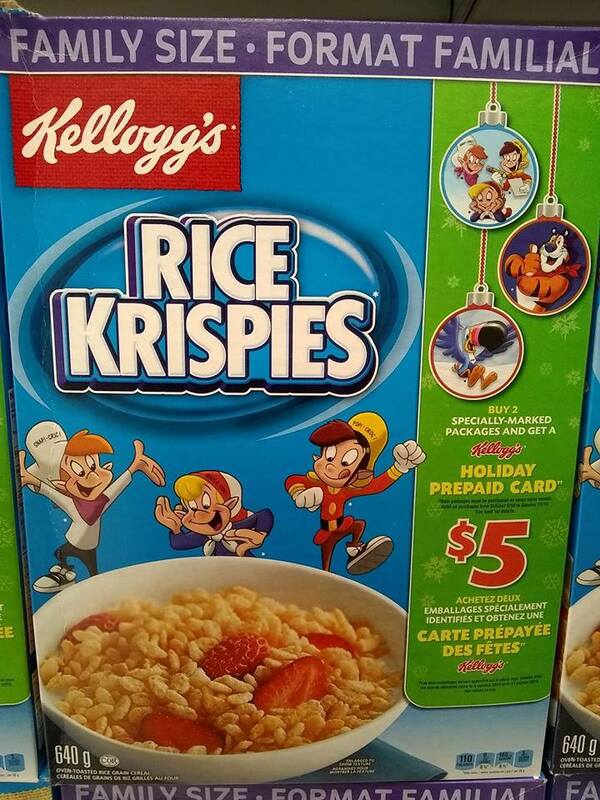 Purchase two participating boxes of cereal, and get a free $5 pre-paid holiday card. To receive your $5 pre-paid card, purchase two boxes on receipt before January the 11th, 2019. Take a photo of your receipt and submit it by visiting the link below. Your receipt must be uploaded by January the 25th, 2018. You will then receive an email with a unique link to register your $5 pre-paid card, after which your pre-paid card should arrive in the mail, within 3-4 weeks. I won’t be participating in this promotion as the only reason I participated in the past was for the free toy. If you purchase this cereal routinely then of course it’s an added bonus. Click here to submit a photo of your receipt to claim your $5 pre-paid card. I pushed the link but the page won’t load. Every time I apply , the photo won’t go through , if you don’t want people to apply , don’t have the promotion at all.